If you’re looking for a great book to help you learn more about Windows home networking, there’s a new book on the market by our good friend Ciprian, and published by none other than Microsoft Press. 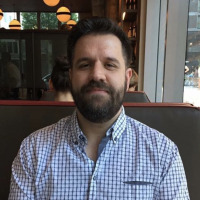 Note: our friend Ciprian has been a guest contributor here on How-To Geek in the past, and he’s not only a geek that knows what he’s talking about, he’s also one of the more honest and decent people I’ve worked with. In his spare time, he runs the 7 Tutorials web site. 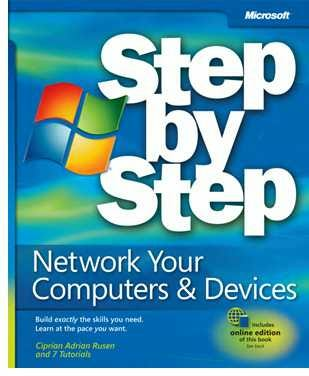 One of the great things about this book is that you aren’t limited to just Windows networking—it also explains how to connect Windows 7, XP, Vista, Mac OS X, and even Linux on the same network and share folders and devices between them. Everything in the book is written in a typical How-To Geek step-by-step format, with plenty of screenshots and pictures to help you through the process. It’s a great book, with loads of information, and compared to most tech books isn’t very expensive—only $19.79 for the paperback and $9.99 for the Kindle version. Well worth it, and hey, it’s an official Microsoft Press book—written by a How-To Geek guest author.